Music websites for kids can be a wonderful educational addition to any homeschool or classroom. Through interactive games, demonstrations, music activities and lessons kids can learn how much fun it is to make music! When it comes to music websites, it's a diverse group. There are music websites for kids devoted to every type of music out there, from classical and country to zydeco. 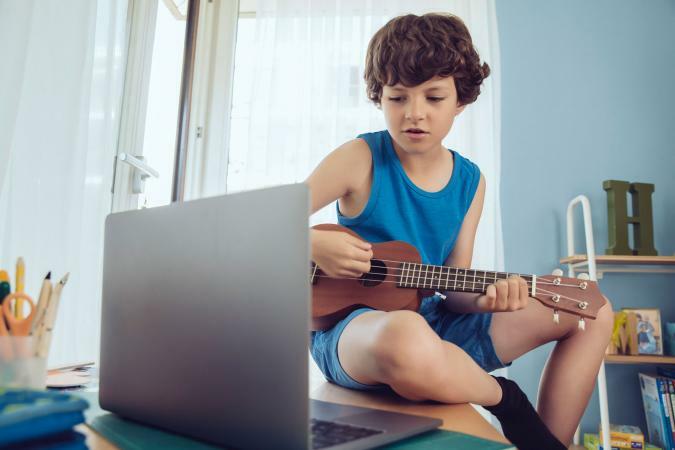 Whether you want your child to learn to appreciate Mozart and Beethoven or you'd prefer he learn the finer points of modern jazz, you can likely find a website devoted to the topic. There are also sites teaching kids how to read music, sing, and play musical instruments. Presented by the New York Philharmonic, their Kidzone features five 'rooms' for kids to explore. In the Game Room you'll find more than ten games that cover everything from composers to instruments. You can also head to the Instrument Storage Room to learn about the different instruments or the Dressing Room to learn about members of the Philharmonic. Join the San Francisco Symphony in exploring six different aspects of music education. Choose to Discover, Listen, Play, Perform, Conduct, or Compose. Each category features an interactive game to help kids better understand that aspect of music. Within those activities kids have dozens of options using both the mouse and the keyboard to hear, feel, and learn about music. Fun cartoon graphics help bring the website and music to life. Those looking for activities related to uncommon instruments or those found in other countries will love folksinger Daria's website. Under the Instruments tab kids can click on eight unique instruments like a cajon or a didgeridoo. For each instrument you click to listen to the sound of the instrument, an entire song on the instrument, find a coloring page of the instrument, and find directions to make your own. You can also check out her YouTube channel which features animated videos and interactive lessons on ASL signs for popular kids' songs. If your child is a budding composer, try CreatingMusic.org, an award-winning music website for kids. Here, kids can play games designed to build their listening ear. Interactive, easy-to-use tools and wizards allow children to compose their own music and hear it played back by a variety of instruments. The site is free, but there are products, such as teaching CDs, advertised on the page. There are 13 different music exploration activities to choose from on the free Chrome Music Lab website. Kids can make their own instrumental song and save it or even draw a picture that creates a song using each line as a note. On this website children get the chance to see and hear musical concepts through their own manipulation of the sounds. Perhaps you'd like your kid to learn to play an instrument, but you can't hire a teacher and you don't have the necessary skills. Luckily, there are sites available to teach a variety of instruments, and many of them are free. Use your email address and sign up to receive free, downloadable children's beginner piano lessons from The Piano Patch Kids. The free video tutorials at Violin Master Class show some basics for getting started on the violin. Violin Online features six free lessons that include tips, images, and step-by-step photographs for playing the violin. 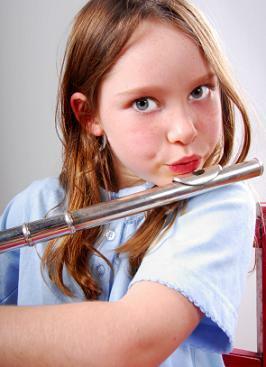 For only $40 per year, you can sign up for flute lessons at Fluteland.com. Children can learn the basics of playing the guitar at Kids Guitar Zone in only ten free video lessons. You may not have the funds or the desire to buy every instrument for your child to try out. Interactive music websites give kids the opportunity to experience different instruments and types of music without spending a dime or leaving the house!